It’s Monday morning. I’m tired. The weekend was long and ended with a funeral for a 39 year old mom with young kids. What an energy zapper. And I have a long To Do list for today including an important sales call (aren’t they all important?). How about you? Ready to go this morning? Sometimes its hard to be productive when you have ZERO pep. Isn’t it? So what to do? Going back to bed is not an option. Taking the day off isn’t either. So I need to find a way to dig in and find ‘it’ today! Before looking at my long To Do list, I am taking out my goals. I am going to read through them and remind myself of WHERE I am headed. Then I am going to really think hard about the rewards I am seeking by achieving the goals. And next I am going to look at my To Do list for today and this week and make sure I have activities listed out that will move me forward. Then I am going to start with the #1 priority (this blog post was the first #1 and I am almost finished 🙂 ! What you need to discover is what works for you? How are you going to get ‘it’ going today so that THIS week is productive and powerful? If you want help in being more productive, starting with your goals can help. 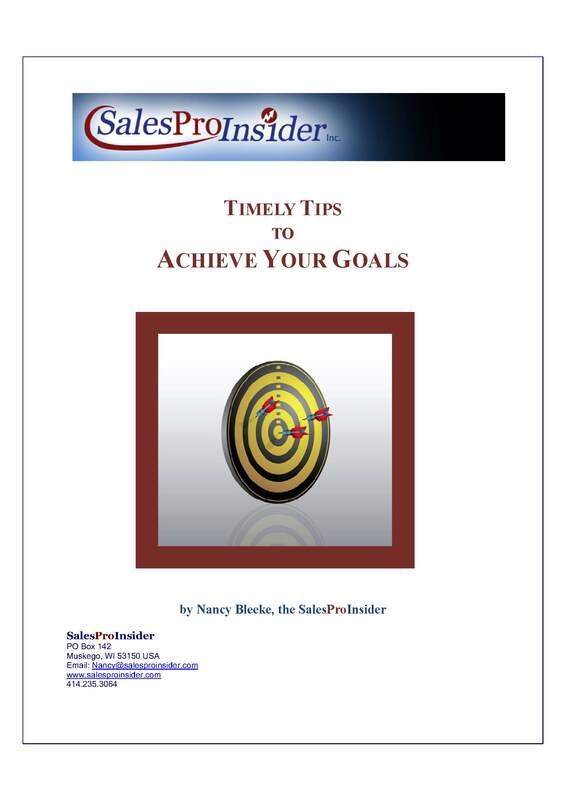 I did complete the Timely Tips to Achieve Your Goals eBook. It’s a quick process to help you write and plan to reach your goals. An easy-to-use goal planner is included! All you need to do is sign up for the Timely Tips ezine here to get your copy. If you are already a Timely Tips subscriber, I sent you a link over a week ago to access yours. If you don’t have it – send me an email.